Sally Taylor joined the PGG Wrightson Rural Supplies team in early 2016 before jumping ship to the Real Estate division in early 2017. Sally qualified in June 2017 and has hit the ground running. She is based in the Teviot Valley and also covers the Ranfurly and Alexandra areas, with many successful sales to date. Sally’s points of difference are her fresh ideas and flexibility when helping you find or sell real estate. Sally is from a farming family from Exmoor in the UK and has been working in sales for most of her career in a number of industries but mainly agriculture and equine. This included owning and running her own country clothing business in England. 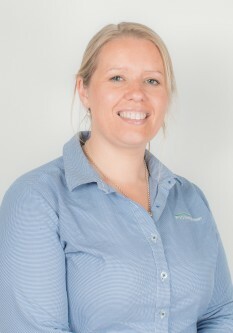 Sally is a very conscientious and enthusiastic salesperson with a real passion for property. She feels that utilising the latest technology, including extensive social media advertising, is very important in making sure that properties are marketed to their full potential. Sally’s growing social media presence allows her to market your property to a much wider pool of customers than traditional advertising methods alone. If you are looking for a reliable, trustworthy consultant who gives 110%, call Sally to arrange a free, no-obligation appraisal of your property. If you decide to sell, she will make the process as fun, easy and stress-free as possible.